Bed bugs- Entire bedroom disassembly service, thorough treatment. Special 5 in one liquid chemical treatment, plus we use a special dust formulation to knock them out. Treat the entire box spring, mattress, bed frame. Inspect and treat objects in the room, night stand, head board, pictures, baseboards etc. Peal back carpeting from the wall at baseboard. We also inspect your living furniture. Wall outlets, light switches, radiators, radiator pipes. Bed bugs will generally be where anyone spends long periods of time (sleeping or sitting). A single female bed bug overlooked can simply re infest your home all over again. We go the extra mile to make sure the job is done right the first time. Please never discard bed bug infested furniture to the public. If so, please slash, spray paint or otherwise render the furniture useless to avoid someone else having the same problem your experiencing. 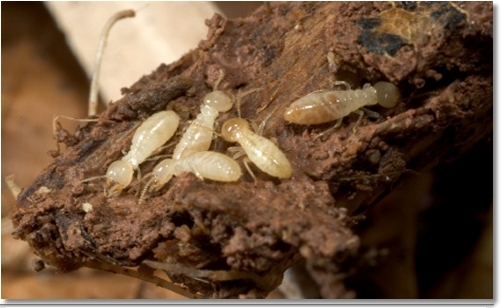 Termites- We offer conventional soil injection service, crawlspace. Basement floor drilling and exterior perimeter drilling. We offer a 5 year guarantee on termite treatments.-One of the best in the industry, we trust our products, along with our treatment techniques our service works extremely well. This why we offer this excellent treatment guarantee. - We do it the "old fashioned way" which always gets the job done right. 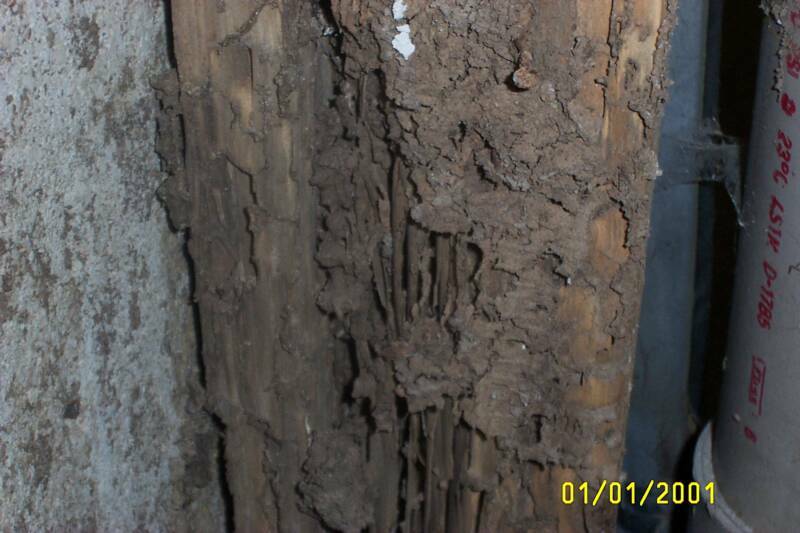 We treat damaged wood to render it useless to termites, plus any new wood you are replacing. 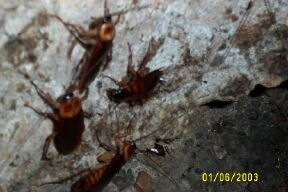 Roaches -Yuck, can carry many germs and bacteria due to the filth that they crawl in. They reproduce in mass numbers and sprays are a thing of the past for treatment. All treatments done for roaches should be with no-odor baits whether you choose to do business with us or any other company. Roach's have also been known to crawl in children's ears at night and get stuck deep in the ear causing painful ear infections. This can happen to adults too. There are probably a million reasons to get rid of roaches, our thought is don't wait, the faster you treat the faster they will stop invading your home and crawling all over your kitchen utensils, food and or your personal belongings. The sooner you begin treatment, the sooner they will get out of your life. Note: High populations of roaches can aggravate asthma, causing asthma attacks more often than a non-roach infested home. This is a proven scientific fact! Ant's- Some are just a nuisance but Carpenter Ants can cause serious damage! Carpenter Ants vary from small black to brown worker ants (called minor workers) to large (called major workers) To large winged reproductive's, if you find the winged reproductive's you have a serious problem at hand Note; if you find carpenter ants in the winter, it's more than likely that you have a nest in your home that needs professional treatment.. Carpenter Ant colonies can range from 300-800 workers and they may have what is known as satellite colonies that may contain between 300-500 workers. Please don't use raid or any other type of spray on them. It can drive them deeper in your home making it more difficult to get rid of them. Not to mention more expensive! Give us a call for more details, or if your not in our local area call a professional in your area, you will be better off in the long run. Bee's, Wasp's,Yellow Jacket' Etc.-Ouch be careful some people are allergic to them and their body can swell up (particularly the throat) making it very difficult to breath. If this happens call 911 and tell them your problem so that when medical attention arrives they can treat you a.S.a.cp. If you drive your self or if you have someone else drive you, your swelling may get acute and there is nothing you can do, let the ambulance E.M.S. staff administer the anti-dote. Please don't seal off the point of entry, what this does is seal them in and they may try to find a new entry point inside your home or business through your dry wall (they can chew right through your walls when they are desperate). Over the counter sprays rarely work on a nest in the wall or an inaccessible area. 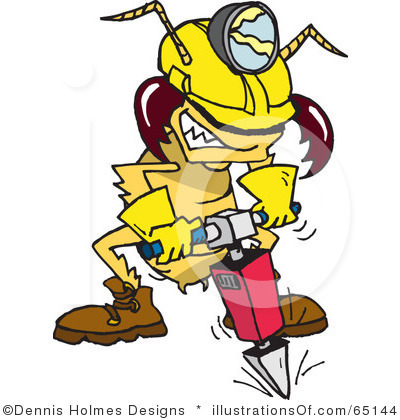 It's always best to call a professional for any type of bee or wasp problem. Carpenter Bee's- Bore perfect circles in wood causing allot of damage when they infest in mass numbers. These bees are huge! Mice - They contaminate more food than they consume. They can damage stored items in your garage, attic, crawlspace or basement. They can multiply very rapidly making control difficult about 7-10 per litter every o month or so and sometimes even sooner than that. Rat's -must go, filthy creatures and can damage stored items and can attack if cornered. Leave them alone and they will leave you alone, don't chase, corner or provoke them. They can live outdoors as well as indoors. They can enter your home or business through your crawlspace, basement or from any gap at the bottom of any exterior door or through holes or gaps at the exterior of any structure. Sometimes they can be difficult to control. Fact; Believe it or not rats are very smart and make great pets (store bought ones). Yes, I said it and it's true they are tamer than hamsters and learn more friendly they can also be trained very easily. Fleas -They bite and can persist for month's laying eggs that hatch for months to come. They usually enter your home through your dog or cat in the hot humid summer months. Also, if you buy used furniture or carpeting fleas can infest your home through that mode of entry..Or, if you have a summer home and a racoon breaks in (and this does happen) they can infest your home or whatever they come in contact with. Wild animals such as: Squirrels,racoon's,opossums,rats,mice,cats,dogs can be and often are infested with fleas. Fleas need fresh blood to survive so if you get rid of your pets or don't have any, humans make great hosts as well as pets. It is always best to have your home treated by a professional for fleas. 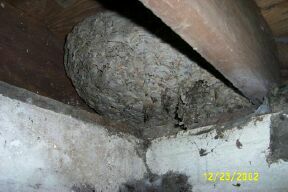 Termite inspections- We do them for your home closing starting at $75.00 for most homes. Note; it's a good idea to have a thorough home inspection done before you buy your home. Who knows you might be buying a termite infested property, some areas of town are more prone to termites than others. Also, when it comes time for you to sell your investment, the buyer may request a termite inspection and if termites are found you may be in a predicament because you bought the home not knowing it had termites and now your the responsible party for the termite problem. This can be a potential closing problem or even possibly taking a loss on your property . - Food for thought. Centipedes -They can bite too. Usually found in crawl spaces and basements but they can find there way into your bathroom kitchen and other areas of your home. Spider's -They also can bite. Be very careful around the brown recluse their bite is highly toxic! They are usually found outside as well as inside in basements, crawl spaces, and almost anywhere damp in your home. Earwig's -Just plain ugly usually cause no damage. They live out doors and will die in doors on there own if the conditions are right. They infest in mass numbers outside in wood piles, under logs,in hollow trees or stumps. They love moist dead wood.They can be found pretty much under any object outside in which a high moisture content is present. They cause no damage and are a nuisance. Carpenter ant colony found and destroyed! WE E-MAIL OUR TERMITE INSPECTION REPORTS IN PDF DIRECTLY TO YOU, THIS MAKES IT EASIER TO FORWARD IT TO MORTGAGE COMPANIES, LAWYERS, REAL ESTATE AGENTS, BUYERS, ETC. "Terry of TNT has been great since we found out about our termite problem. He answered all of our concerns about the process, and was willing to begin treating the problem right away (even though other companies said we couldn't do anything until spring). His prices were very reasonable, and he has been accessible whenever we wanted to ask a question. We're recommending him to our neighbors who may be facing the same problem."